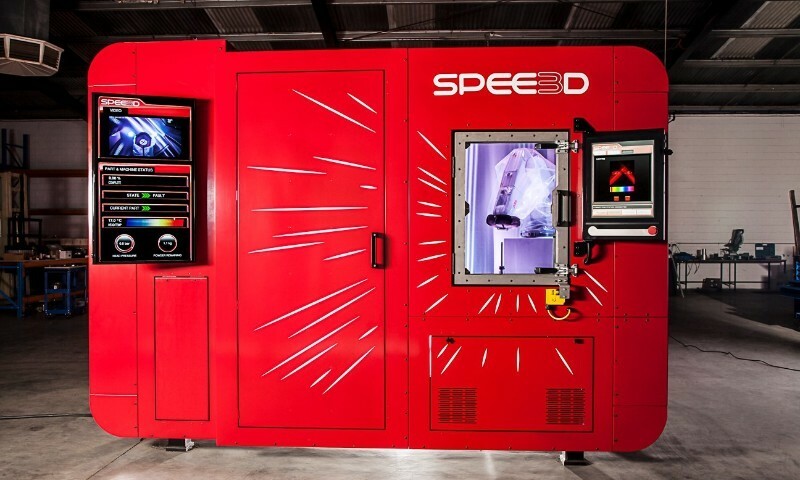 NERA (National Energy Resources Australia), Charles Darwin University and ConocoPhillips Australia have come together with technology developer SPEE3D on a project to support a new high-speed, low-cost 3D metal printing technology specifically for the oil and gas industry. This world-first technology will see metal parts printed up to 1000 times faster than traditional methods. This has big benefits, as it means not having to wait for new or spare parts to arrive because there’s capacity for these to be printed onsite in a matter of minutes. The speed comes from a distinct method of cold spray metal deposition. Supersonic gas jets are used to speeds of up to 1000 metres per second, with cold spray deposition relying on accelerating solid powers. It’s the kinetic energy of the particles, rather than thermal energy from a laser, that bond the metal particles. No heat or other processes that change the properties of the metal powder are required, resulting in extremely fast printing and one that’s more energy efficient than traditional manufacturing. It’s anticipated that once the printer has been finalised, it will be used throughout Australia and the world as the first product with the capacity to generate parts for industry on demand in remote locations. This collaboration was recently featured in NERA’s magazine, have a read!